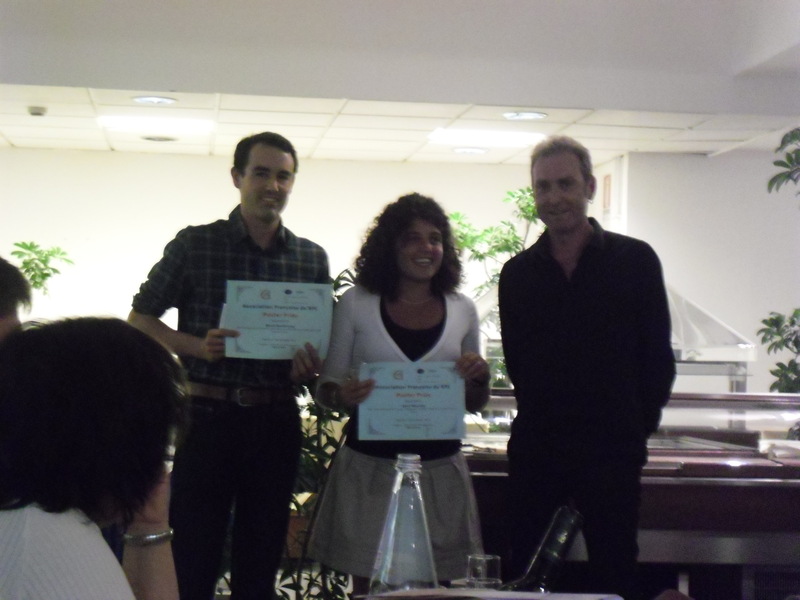 The ARPE poster Prize was awarded to the best poster presented. This year the prize was awarded to David Bardelang and Sara Maurelli during the 1st Joint Meeting ARPE-GERPE-GIRSE in Palermo, 3rd – 6th October 2012. From left to right, David Bardelang, Sara Maurelli, Hervé Vezin (President). fr Archives Prix thèse & poster ARPE Poster Prize 2012 ?